Fewer things are more comforting than a warm bowl of chili on a chilly winter’s day. What’s so wonderful about all things slow cooker is the warming aroma that fills the house while cooking. And did someone say low-sodium!? Though very simple (only requiring 15 minutes of hands-on time), this recipe is heart-healthy while maintaining a bold, rich flavor. 2 fifteen-ounce cans petite diced tomatoes (again-check the generic labels! 1. Heat peanut oil in pan over medium-high heat. Cook ground beef until browned, and season with a dash of salt, pepper, chili powder, and cumin (do not use all of the chili powder & cumin). Drain meat from excess oil, and then add to slow cooker. 2. Add the diced onion, beans, corn, tomato sauce, and diced tomato to slow cooker & Stir. Add chili powder & cumin. Stir well and cover. 3. Cook on high for 3 hours and 30 minutes. About 30 minutes through, stir and add salt & ground white pepper as needed. 4. 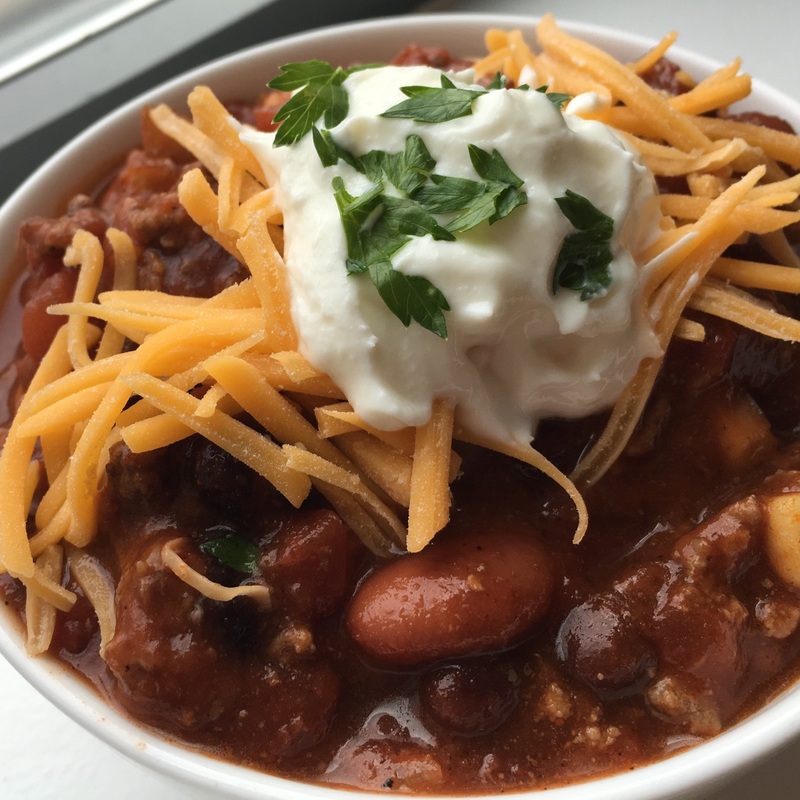 Serve chili in a bowl & top with a dallop of greek yogurt, and a sprinkling of cheese & cilantro.